I've featured deviantART user wazzy88 here on Kotaku before. 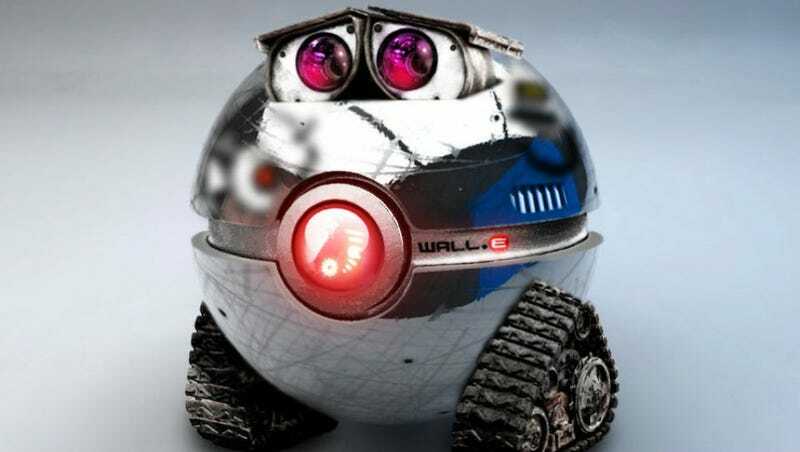 But, being a huge fan of Wall-E, I couldn't help but feature his Pokéball work again. Wazzy88 has plenty of other half Pokémon, half other nerdy things that I also enjoy up on his deviantART page that you should check out. deviantART user wazzy88 just uploaded this beauty, and I immediately knew I&apos;d have to have it. This week's best comment is a comment on the lackluster votes received for this week's nomination. It saddens me that we've reached this point. It's my fault. I brought up the cute corgi. I come in here to see good comment nominations and instead all I see are dogs and shameless self-promotion. FOCUS, PEOPLE. Growing Up on Mario and Sonic. Growing Up in China. Eric Jou investigates what it was like to grow up with Mario and Sonic in China. Hold On a Second. Lost Planet 3 Might be Good??? I did not ask for Lost Planet 3. Did you? I&apos;m Actually On the Bandwagon for a Vita Game Called PulzAR. Join Me? The first time I saw the word PulzAR on a list of upcoming PlayStation-brand video games, I laughed. I Played XCOM: Enemy Unknown With An Xbox Controller. It Works. Fine. I&apos;ll Admit I&apos;m Infatuated With The World Of Super Monday Night Combat.